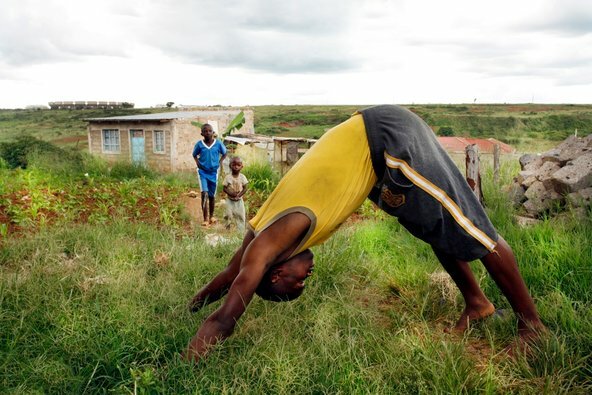 I thought this was a beautiful article in the NYTimes about yoga in Africa, and am sharing the inspiration here in my blog! 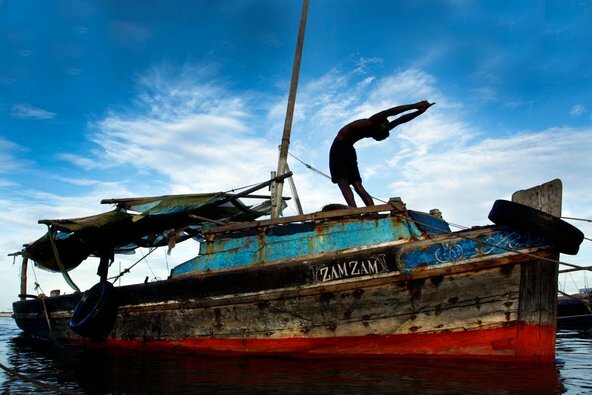 Billy Sadia in a standing backbend pose on a boat moored off Lamu Island. The language of yoga is universal. That is the message of Robert Sturman, an artist from Santa Monica, Calif., who has traveled across the United States to capture the tranquillity and beauty of yoga. 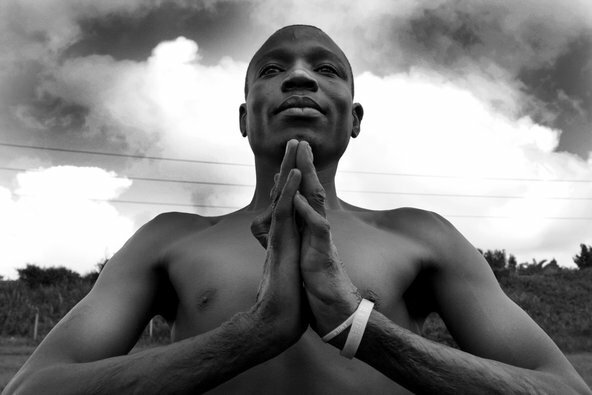 A month ago, Mr. Sturman traveled to Kenya to document the work of the Africa Yoga Project, a nonprofit organization that teaches and employs more than 70 local yoga teachers and conducts up to 300 free yoga classes for more than 5,000 people weekly in orphanages, prisons and other locales throughout the country. Last time we spoke to you on Well, it was for a series of yoga photos taken in the United States. Why did you decide to focus on Africa for this project? As an artist, I am more interested in humanity than anything else. Yoga is a beautiful, poetic expression of the body. I wanted to go to Africa to celebrate human beings aspiring to reach their full potential. Often, we see images coming from Africa that point toward the suffering, but I wanted to create a body of work that pointed toward something inspiring and positive. 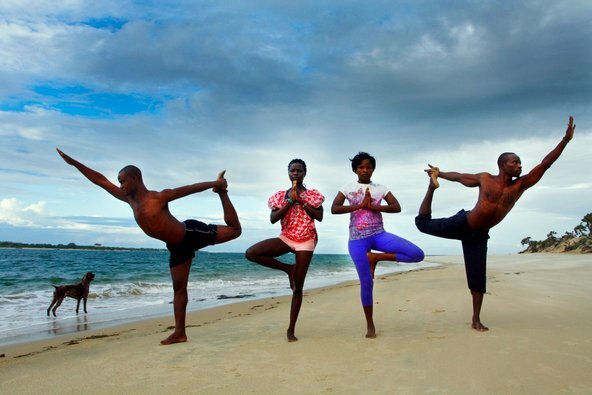 What drew you to the Africa Yoga Project? 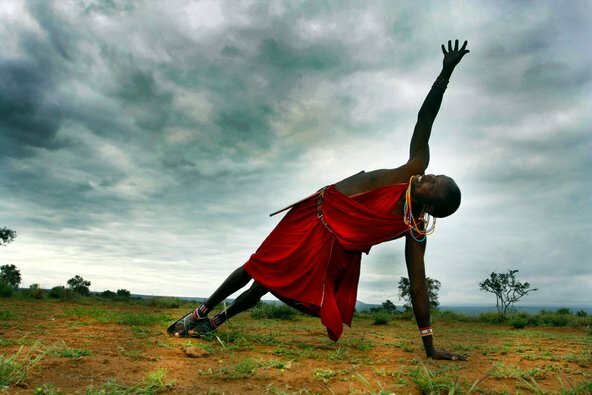 I found the Africa Yoga Project online, and I was inspired to create visual poetry with what they are doing in Africa. Their generosity deeply interests me. For example, they have a sign language interpreter at many of their classes because there are a few deaf people in their yoga community. That was one of many things that touched me about their work. 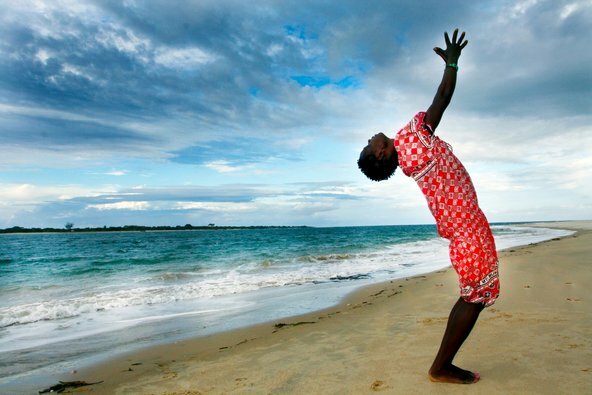 Are there differences in the practice of yoga in Kenya and the United States? 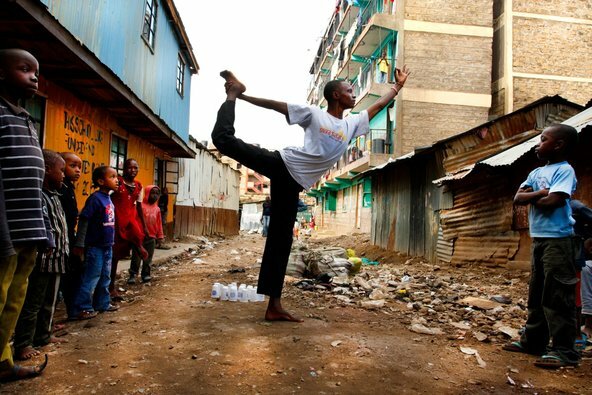 In Kenya, people walk out of yoga class feeling great, just like they do in New York. The one difference I loved, however, was that the children who took the classes always broke out into a spontaneous song or dance right in the middle of class. Then they would go back to the yoga postures. Speaking about the children in the photos, several of your most striking photos were taken in orphanages. 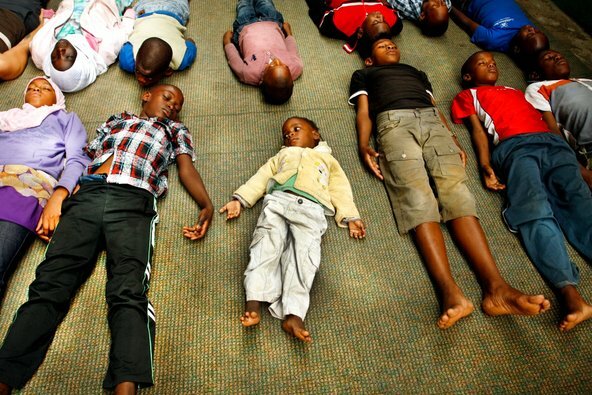 How do these children benefit from yoga? 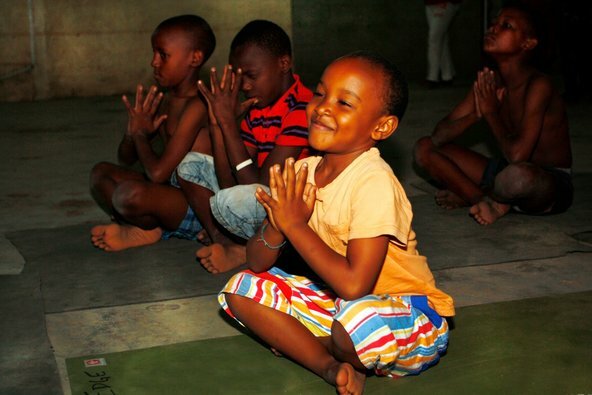 Through the practice of yoga, the children are given the opportunity to express themselves, be creative and open up physically and mentally. It was most apparent to me that by the time their hourlong class is over, they feel loved. 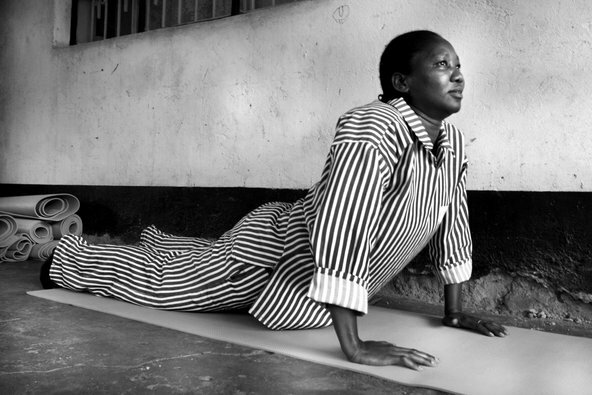 You also visited yoga classes in women’s prisons in Kenya. What was that experience like? Visiting the Kenyan prison brought me unexpected joy. The inmates, some of whom are H.I.V.-positive, told me that yoga has become a rare source of happiness in their daily lives. What did you take away from your trip to Africa? After a yoga class, I looked at the people in the class and I saw the hope in their eyes that they could become a part of something positive. The students leave the class empowered to be leaders in their communities. It was awesome to witness their enthusiasm and to have the opportunity as an artist to show them that part of themselves. Thank you for this. So inspiring and beautiful. 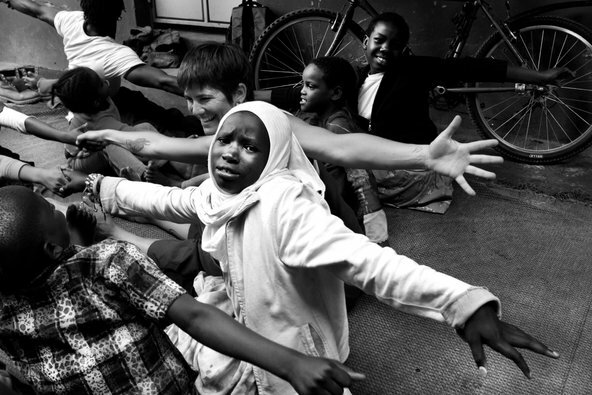 Children dancing and opening up to song while doing yoga…this image brings a song of happiness that ripples into me, all the way from Africa, and I hope, back.